Good for a spacer to lengthen your spinner with out adding much weight. Use on wire shaft only, it will cut monofilament. This 6mm Wedding Ring has a Silver or Gold Plate frame with your choice of 10 different Rhinestone bead colors. This bead will reflect the surrounding component finishes for maximum fish attraction. Not a plastic frame and bead. These Acrylic Stack beads are popular with fisherman building Wedding Ring or Bell spinners for Kokanee. Solid brass good for bearings and adding weight to your spinner. These are a high quality bead with no bubbles in them, which helps then glow brilliantly in daylight. 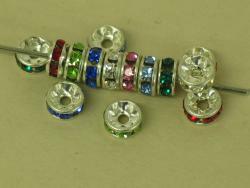 They are perfect for bearings and decorative purposes where a really bright color is desired. 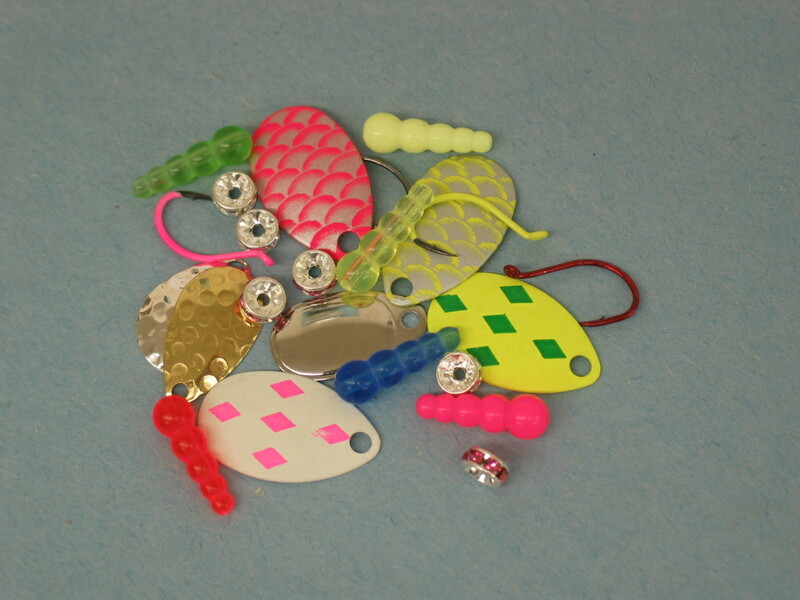 A popular use is on Kokanee lures and larger salmon spinners.